These three ingredients can give us all the beautiful blue shades. 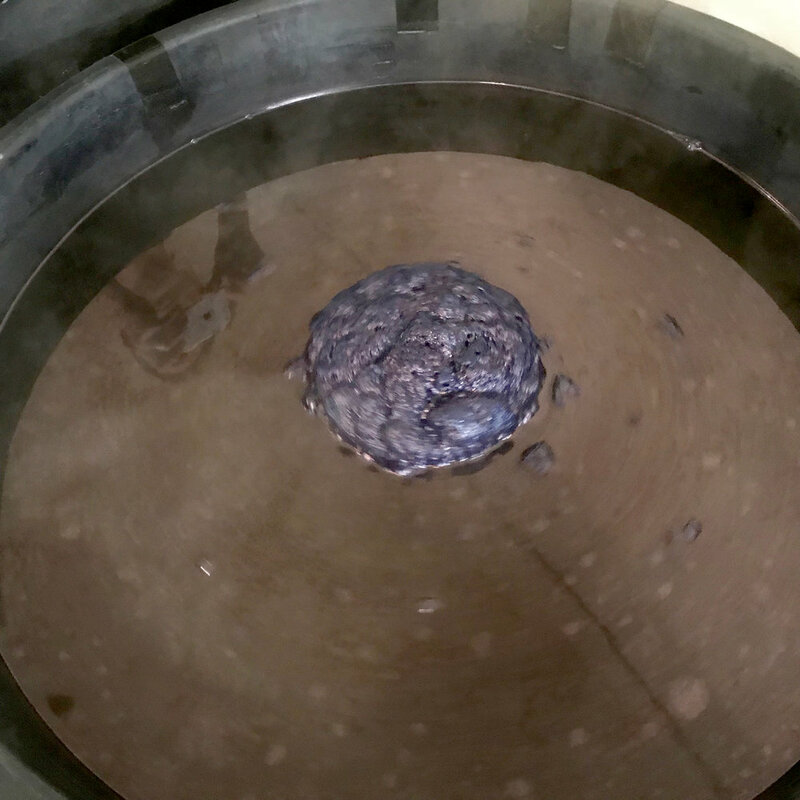 The three days of workshop gave us a very complex understanding of how the indigo can be mastered. Since indigo is a vibrant colour that originates from nature, it also needs extra care in the dyeing process. ...and it is not the easiest recipe to master. However practice makes perfect, and we will do our best to make it work — and will let you know how the process is going. 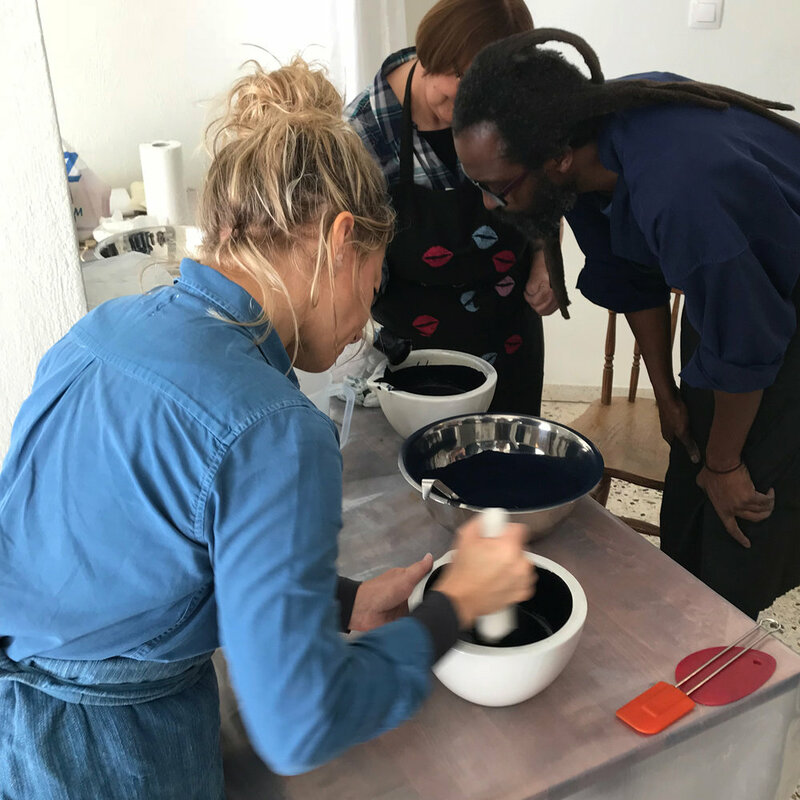 At the workshop in Athens we met with a small bunch of indigo enthusiasts from around the world. They also brought the natural indigo recipe back home to use and in the future it will be amazing to follow their experiences with magical colours of the indigo. We will also spread the story of the natural indigo dye at a couple of workshops during the coming year.